Vodka is the world's most popular spirit, and thus has rightfully inspired some incredible innovations. From bottles that must be broken to be poured to skull-shaped packaging, incredible advertising and ultra-luxurious boutique brands, vodka can simply not be stopped. Check out some of the recent vodkavations we've featured at Trend Hunter below. Implications - Companies utilize the uniqueness of their product to capture attention from consumers. By offering unique choices for liquor, such as designer vodka and bacon flavor vodka, the consumer will be drawn to these unique qualities. Additionally, by offering different choices, the beverage company can market drink recipes, glasses and more, to further boost its presence in the industry. 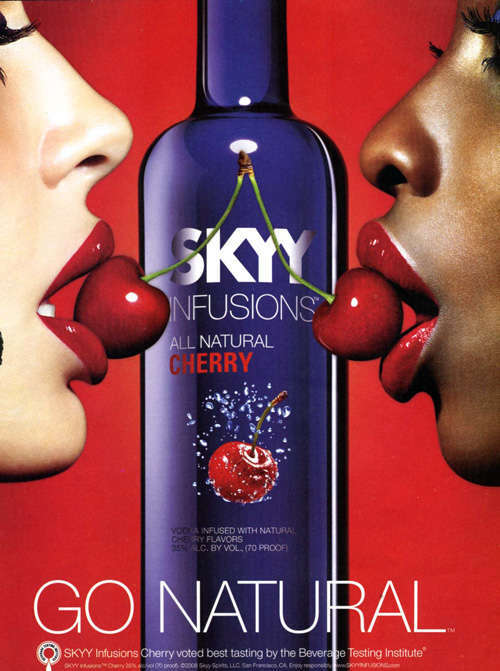 Skyy Vodka's "Twig and Berries"
Is Lichido the New Crystal?